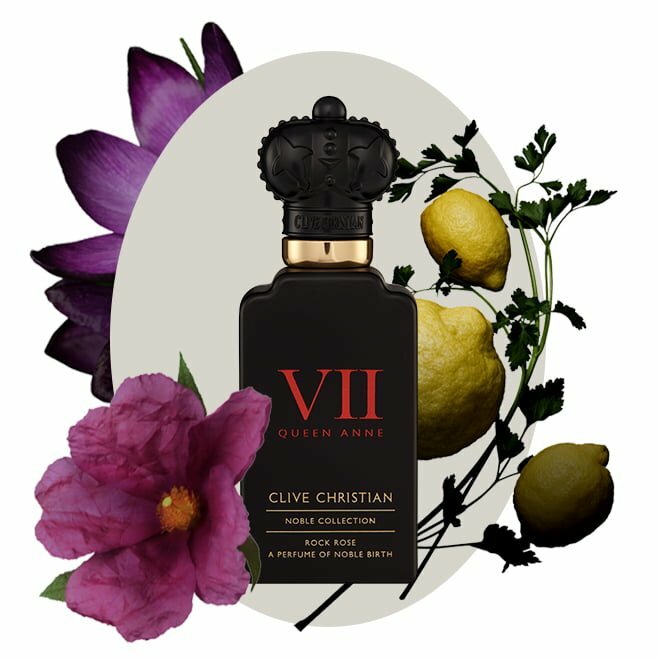 Clive Christian has a great selection of perfumes for any occasion, bringing you ideal scents for day and night, casual and elegant and for every season of the year. Here are our top spring perfumes that perfectly transcend blossoming gardens with their bright, sparkling and citrus-heavy ingredients, making you feel uplifted and refreshed. 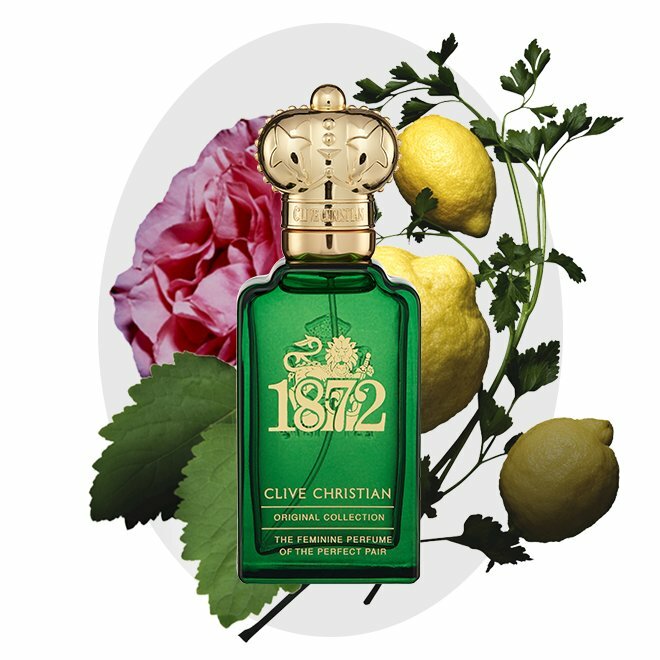 The bright citrus notes in 1872 capture the energy of spring time. The perfume is reminiscent of fresh spring mornings and sun warmed days. Grapefruit is known as sunshine in a bottle and is one of the Top Notes in the masculine version of this perfume. Herbaceous notes of 1872 Masculine herald the start of the growing season and plants coming back to life. In the feminine version of the 1872 perfume we find many notes of flowers like Lily of the Valley, Freesia, Jasmine and Orchid. Which makes this perfume perfect to welcome Spring. In the Top Note of this perfume is Bergamot, a small citrus fruit from Italy. One hundred Bergamot fruits will yield about 3oz (85g) of Bergamot Oil. The Rose de Mai in the Heart Note of the 1872 feminine perfume starts to grow in Spring before blooming in May, the only month it actually blooms. It requires 170 rose heads to produce a single drop of pure oil. Patchouli is found in the Base Note. To ensure the best quality oil, the leaves are harvested before they turn brown and then heaped to ferment slightly, before extraction occurs. This iconic perfume is reminiscent of a fresh garden at dawn with dew-soaked grass and slowly growing flowers. This scent features uplifting notes of Lavender, Rose, Jasmine, Violet, Coriander, Geranium and Clary Sage. The cooling fougere notes remind us that the cold is not all gone but that the fresh mornings bring life to the outdoors. Tarocco Orange – the Top Note of this perfume – is one of the world’s most popular oranges thanks to its intense sweetness. The name derives from an exclamation used by the farmer who was presented with the fruit upon discovery. Rock Rose is not just the name of this perfume but also its prominent Heart Note. Grown on the banks of the Mediterranean since antiquity, it produces an aromatic leather, musky scent. Prized by English nobility in the 18th century, the flower featured in some of the most coveted English gardens and was considered highly regarded. In the Base Note we find the Saffron also known as “The King of Spices” and “Red Gold”. The beautiful purple flowers herald the first sign of Spring even though it is not harvested until the Autumn. This is a bright and zesty perfume reminding us of the arrival of spring after a long winter. 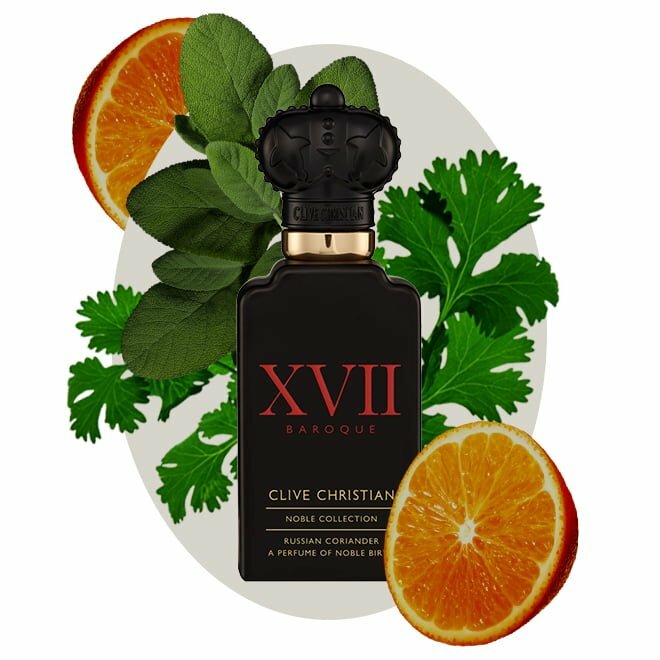 Green Galbanum gives this perfume a bright opening like fresh grass alongside Bitter Orange and Petitgrain. The delicate floral heart of Orange Flower, Freesia, Jasmine, Lily of the Valley and Orris contrasted with Coriander makes for an intriguing softness and citrussy sharpness. Bitter Orange is found in the Top Note, which originated from South East Asia but is prolific in Spain, Florida and The Bahamas. Bitter Orange’s sharp peel is known for its stimulating properties and has been used in herbal medicine since ancient times. The name giving key Heart Note is Coriander. A slender herb with feathery broad leaves. Known for its refreshing, green and lemon-like scent and flavour, Coriander is one of history’s most beloved herbs. It was important in ancient Egypt where it is alleged to have been present in pharaonic tombs. The use of coriander in perfumery can be traced back to the second millennium BC in ancient Greece. Clary Sage, in the Base Note, is a sacred herb used by Emperor Nero to energise his troops before battle, it invigorates the wearer immediately. A Clary Sage field needs to be replanted every two years to ensure optimum quality. This perfume has garden like notes forming a delicate bouquet of Rose, Geranium, Chamomile, Osmanthus and Pear. Juicy fruity perfumes like this bring colour and warmth to still cold spring days, adding delicious energy and warmth in an explosion on the palette after the dull months of grey skies. 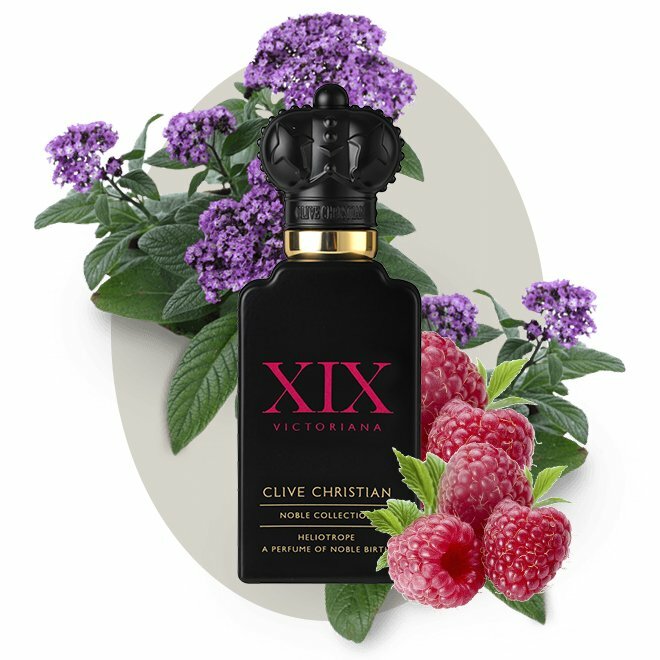 A Top Note of sweet Raspberry creates a sophisticated red berry accord. Raspberry is actually a sub species of the Rose family. The main ingredient in the Heart Note has given this perfume its name – Heliotrope. A flowering garden plant prized in Victorian gardens. Heliotrope derives its name from Helios which means “sun” in Greek. This plant turns itself towards the sun to grow. Olibanum, also known as frankincense is a rich resin, which is found in the Base Note. Its name translates from the Old French expression “franc encens” meaning “noble incense”. Other perfumes to welcome Spring are Cosmos Flower, I Woody Floral, V Fruity Floral and Rose Absolute. Discover your perfect Spring perfume and invite the sun into your daily perfume dose.